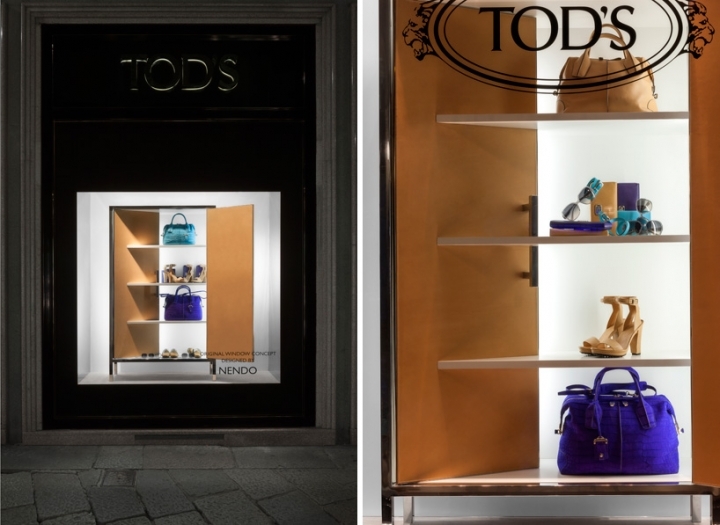 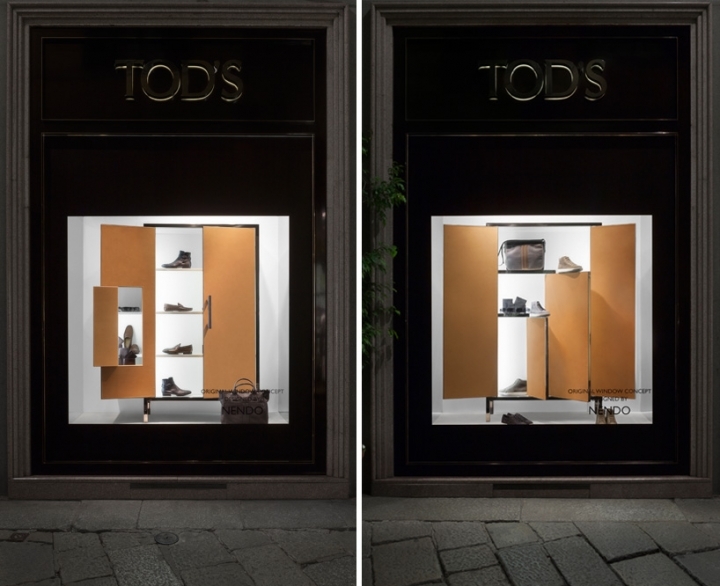 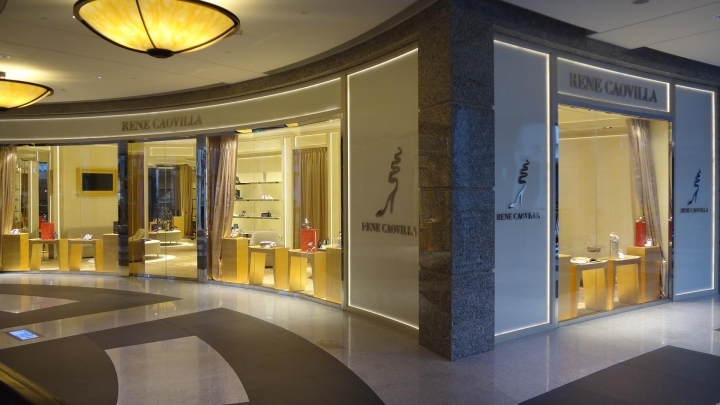 in continuing their collaboration with shoe brands (they recently completed the first camper store in osaka, japan -see designboom's coverage of the retail space here) japanese design studio nendo has designed a series of cabinet displays for italian fashion brand tod's. 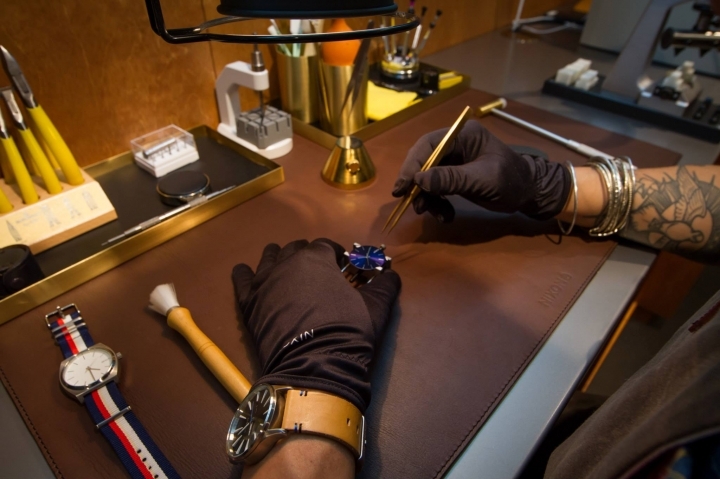 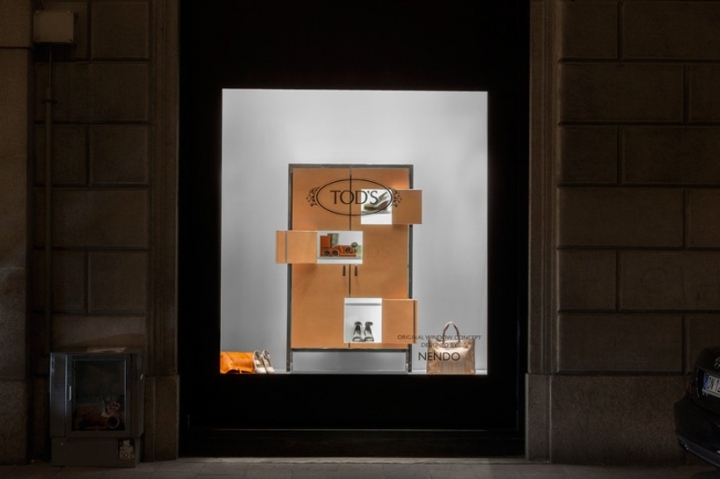 One furniture piece is housed within each of the company's milan store vitrines. 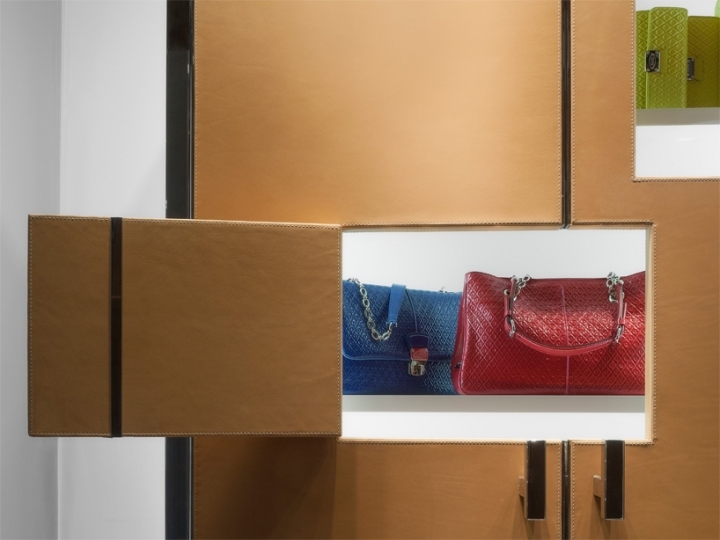 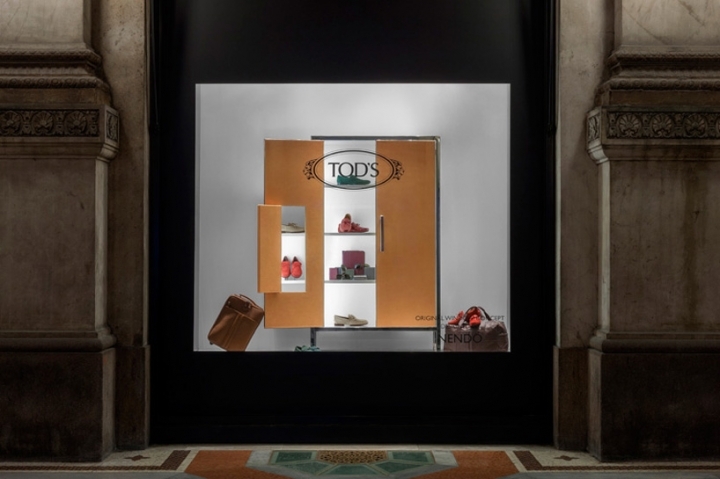 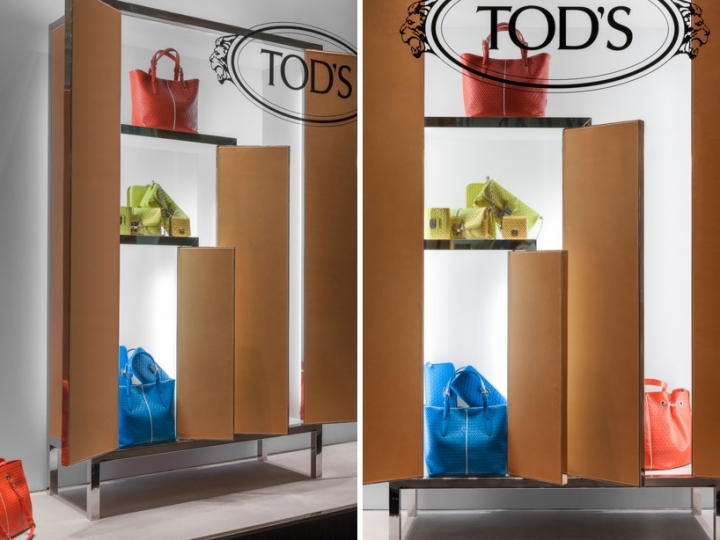 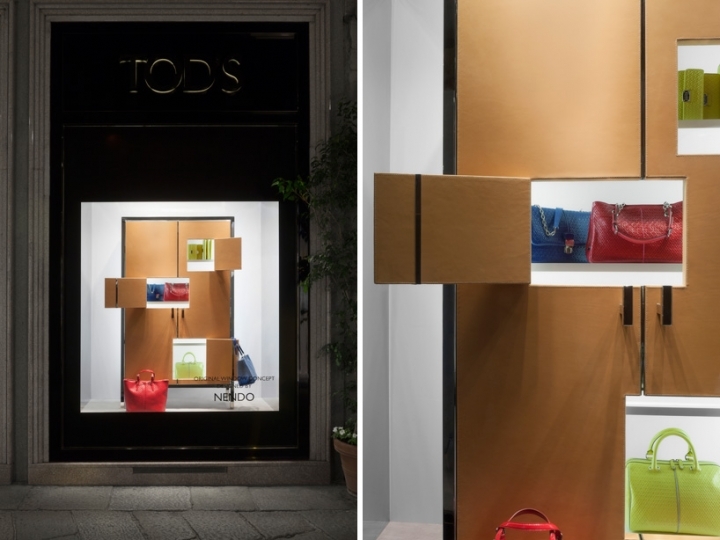 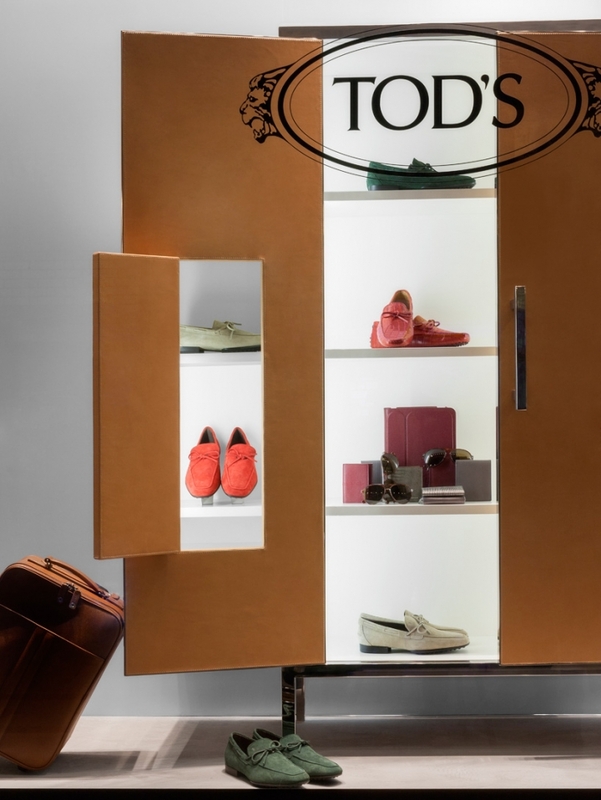 each of the units has been made using tod's characteristic leather and mirrored stainless steel and feature openings in unexpected places; a series of doors within doors, which reveal the line's latest collection of bags and shoes.